This must be the coolest lamp ever! Ladies and gentlemen, dear earthlings, please do not panic. Do not adjust your screens, this is an emergency warning. The Alien Abduction Lamp has landed on Earth. After years of official denials and strange sightings you now have to face reality — “you are not alone”. Your governments can no longer cover up what can only be described as a monumental moment in humanity; the lamp is here! 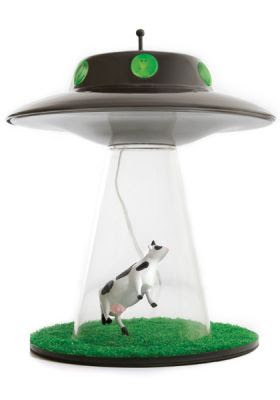 There is no reason to miss this bovine abduction lamp (well...this abduction does come with a steep price: 99 Euros). 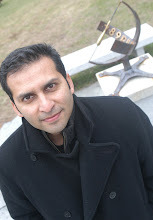 Here is the link to the website. Are you kidding? Abductions are priceless! Does it give off green light?